Following Mayor’s appearance on Daily Show, Deputy Mayor Glen calls on release of names of bad hosts. On March 7, 2016, Deputy Mayor for Housing and Economic Development Alicia Glen requested that Airbnb provide the City with the names and addresses of the hosts illegally using its website. Deputy Mayor Glen’s letter was written in the wake Mayor Bill de Blasio’s March 3rd appearance on The Daily Show with Trevor Noah, where he discussed the pros and cons of the “sharing economy,” and months after a report was issued, which proves Airbnb’s ability to identify and eliminate illegal hosts on its site. For CityLand’s past coverage on this report, click here. In her March 7th letter, Deputy Mayor for Housing and Economic Development Alicia Glen expressed her concerns to Airbnb over their inability to rid its site of illegal apartment hosts in New York City. According to Deputy Mayor Glen, recent reports have indicated that the illegal hosts kicked off the site during Airbnb’s recent one-time purge have begun to return to the site. She called on the company to continue to ensure such hosts remain banned from illegally using the website and also requested that Airbnb disclose the names and addresses of the violators to the City, which would allow the City to take legal action against them. “Your confirmation of this purge shows an ability and willingness by Airbnb not only to identify hosts who violate multiple city and state laws, but also to drop these bad actors from your platform. You have previously indicated to us that these actions were not feasible or even possible,” wrote Deputy Mayor Glen in her letter to Airbnb Director for Global Policy and Public Affairs Chris Legane, according to a NY Daily News exclusive. 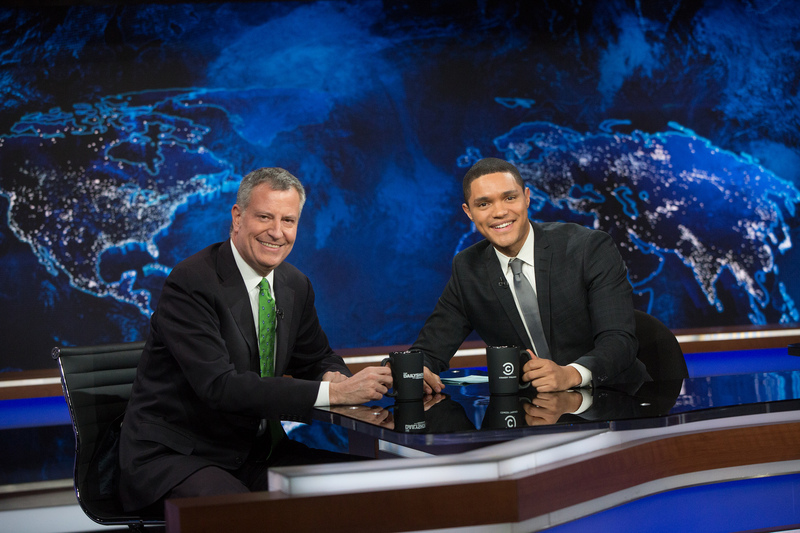 March 3, 2016, Mayor Bill de Blasio made a guest appearance on The Daily Show with Trevor Noah to discuss the “sharing economy” that has taken New York City by storm. The two conversed, among other things, about the City’s issues stemming from Airbnb. Mayor de Blasio noted that Airbnb has created new problems for the City that didn’t exist before because some of its Citywide apartment hosts are “taking advantage” of the new service by using it to running “de facto hotels.” “They have a lot of apartments that they’re constantly renting out, and basically, it’s a business, not a residence,” said Mayor de Blasio. In Mayor de Blasio’s opinion, these apartment hosts should have to pay business taxes and be subject to the regulations that other New York City businesses comply with.